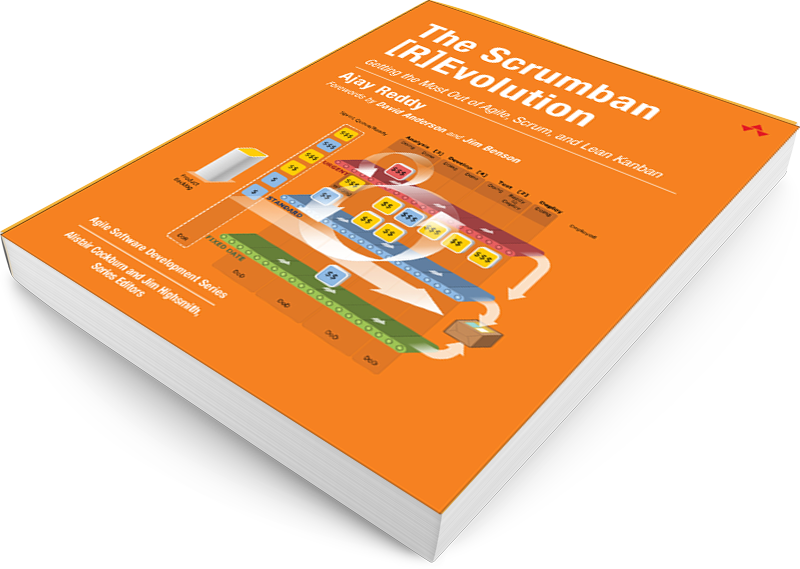 Scrumban is a powerful approach to supercharging team and organizational performance, by integrating the best elements of Agile, Scrum & Lean Kanban. Now, there's a complete guide to Scrumban for every IT, software, and knowledge professional who wants to apply it. Whatever your role -- even if you're not a team leader -- you'll learn how to use Scrumban to help your organization thrive. 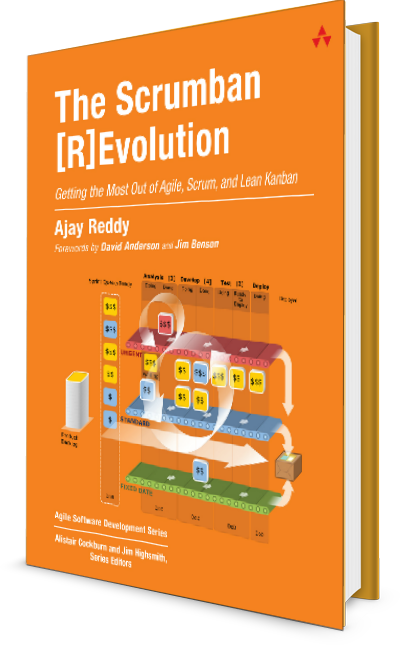 Many firms have adopted Scrum without fulfilling its full requirements—they haven’t changed their context to one that’s truly suitable for Scrum… Ajay Reddy is an experienced Scrum practitioner who has been through the same journey you find yourself on… Let Kanban help you achieve that, and allow Ajay to guide you in how to do it. Ajay is taking Corey’s ideas a step further, providing some more potential implementations for teams who would rather be successful than blind followers of canned processes. This book will help you to pay attention, to see the work you are taking on, to demonstrate to others the load you are dealing with, and to begin to take control of your work in process. But don’t stop here: Ajay calls it (r)evolution on purpose. Evolving is a continuous process. Ajay Reddy has been helping technology teams and organizations improve how they work for more than a decade by emphasizing a hands-on approach, collaborative experimentation, verified business outcomes, and improved team satisfaction. Ajay began his professional journey as a software engineer where he was exposed to Agile approaches like Extreme Programming. He soon transitioned to coaching others in adopting Agile mindsets and practices, constantly seeking out ways to improve this process based on the variety of challenges associated with different settings. 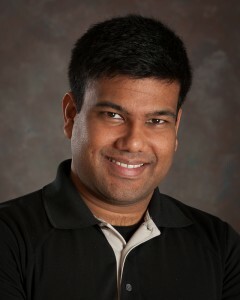 In 2009 Ajay founded Code Genesys, a Lean–Agile consulting boutique. In 2010 he co-developed ScrumDo, a Scrum and Kanban management tool, with the express purpose of facilitating Agile implementations across the industry. Over the past five years, he has helped organizations both large and small employ Scrumban with great success. As the chief product strategist and lead coach for ScrumDo, Ajay is helping teams and organizations in 145 countries realize the benefits of Scrumban. He teaches Scrumban across the United States, India, and Europe and is a regular speaker at Scrum and Kanban meetups and conferences across the globe. In 2012, Ajay became disillusioned with the debate over frameworks, seeing it as putting too much emphasis on the frameworks rather than on the human systems and business concerns those frameworks were created to facilitate. He believes using frameworks as tools to effectively support desired outcomes is more important than the mechanics of any framework. It was this realization that led directly to his spending the last two years writing The Scrumban [R]Evolution. © 2016 ScrumDo LLC & CodeGenesys LLC. All Rights Reserved.